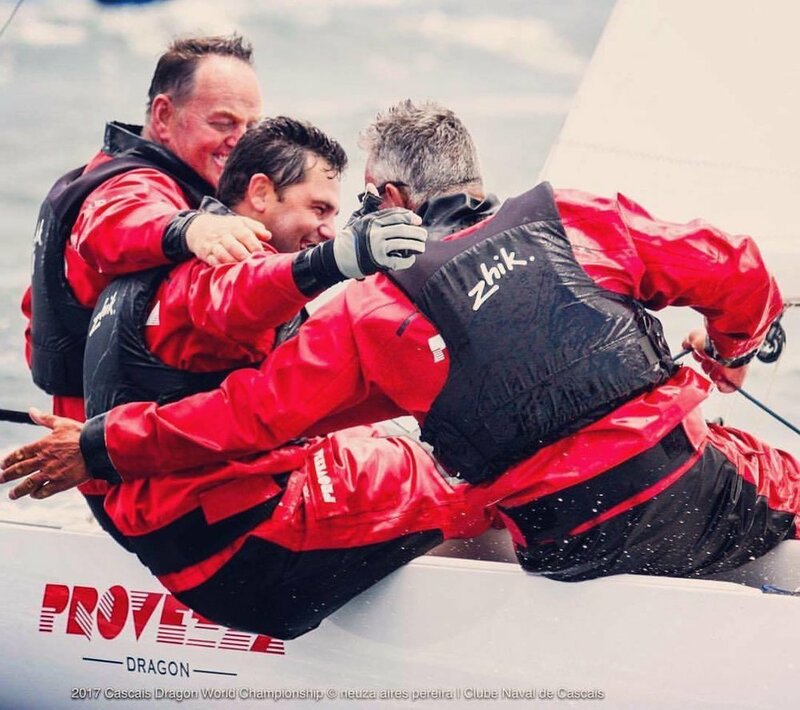 Provezza Sailing Team - 2019 Dragon Class World Champions - printed race-wear and vehicle livery supplied by Heatwave. In 1973 Jim Green and his brother Dave Green began silk screen printing at a premises on Norwich Road, Bournemouth; trading under the name SHADOW FAX. In 1990 Jim Green changed the trading name to HEATWAVE. Having a dozen employees and a multi-storey property to operate out of, Heatwave thrived in the 90s. Towards the end of the era Jim and Dave downsized the business and moved to a workshop within Roman Press on Woodside Road, Southbourne. In 2005 Dave retired and moved to Spain, leaving Jim to continue the business. At the end of 2013, Jim Green retired due to ill health. Having stood the test of time it has continued to provide a quality service at affordable pricing. Since the merger with BlueLemur Clothing in mid 2015 it has become a “one-stop” print shop for all things clothing, with all services (embroidery, screen print, transfer, dye-sub and more) provided in-house by our well-trained and dedicated staff. Heatwave also offers unique and bespoke printing setups allowing the most interesting of requests to be fulfilled! A few past and present clients: Ocean Pacific, Barclays, Carphone Warehouse, Hilton, Birell, Wilkinson Sword, Provezza, South African Airways, Christchurch & Bournemouth Borough Councils, Organix, The Roadhouse - Covent Gardens, Churchill, The Funky Peach, Vendredi Screen Print & Oswald Bailey.